Do you see Cardinals dipping into the bargain bin of unsupigned free agents who are still available after spring training starts. Signing holland after the regular season started last year didn’t work out so well which points to getting signees into training camp as soon as possible. That is a strategy they're kicking around, and one they have had success using. What is expected offensively out of Wong this year? A seventh hitter with a rising OBP and ambush power. He'd like to steal more bases, and we'll see how Shildt handles that. Could be a case where he gives the green lights that we only heard about in previous seasons. Derrick...you mentioned that Ozuna's rehab is somewhat of an unknown at this point with spring training on the horizon but has there been any talk about whether Matt Carpenter has undergone any kind of arm strengthening since he will be at 3rd base the entire year? He has. He just talked to us about this. He's been going through a throwing program that has improved the strength of his arm, he said. It's been a priority for him this winter. It's one of the reasons he started working out in the field sooner than usual. He's taking that program to spring training. It's not a change in mechanics, but it is using the mechanics he has to get more carry and more strength on the ball. What's also helping him is he's been able to be healthy this winter as opposed to coming off a shoulder-grinding injury like the one he played through in 2017. I’ve believed this team would be 3 or 4 games better by having a full offseason, spring, and season with schildt in charge. That was before they even made any moves. Do you think I’m over exaggerating the managers impact on a game or season? I feel like schildt makes that much of a difference. I do not think you are over-exaggerating the Shildt bounce, no. Don't about us readers failing to find flaws to gripe over regardless of the Birds' standings. We will be faithful to criticize, question, and probe (usually in that order). Sounds good. I'll be here. Why wasn't BBWAA dinner on the radio? I am 100 miles away and I looked forward to it. It will be tonight on KMOX/1120 AM. They are replaying an edited version of it. That means they are slicing out my introductions. The Cards are supposedly going to use both Miller and Hicks as closers in the right situations. Why don't other teams try this, especially teams without a dominant closer? They do. We're seeing this increasingly around baseball, and part of that is because young relievers are developed to be comfortable with it and we're seeing the game's financial structure respond to pay middle relievers well whether they have the saves or not. ..."like moving a player to the 60-day DL". Is there someone besides Gregerson that might fit this profile? Doesn't have to be. That's already one spot. Also, injuries happen. What is Bud Norris’s status? Does he want to come back and do the Cardinals want him back? Or is he contacting other teams? He is still a free agent. He would welcome a chance to return the Cardinals. At last check, he has not heard anything from the Cardinals. There are other teams that have expressed interest -- I do not know how many or all of their names, sorry -- and he is awaiting offers to choose from. All of this free-agent stuff is so clogged up at this point, awaiting some kind of rush on players. He could sign like he did a year ago, on the eve of spring training. Which player on the current roster, or that might appear on the roster in coming years, will continue St. Louis’s streak of having a HOF’er in the dugout? I bet they wish it's Paul Goldschmidt. That's the sense I get this weekend. The Cards expressed to Ozuna that they wanted him to prep and recover in FL. HE choose to stay home. How much do decisions like this impact the Cards interest in him beyond 2019 (assuming he has a year good enough to warrent interest)? Thank you, Colorado Birds. You know why. Thoughts on Pulisic to Chelsea? You buy your son a jersey yet? Exciting. Truly. He did not. I have some news on this front, and I apologize for being late to explain it earlier especially when I had the chance a few weeks ago. There has been a caucus in the household and we have come out the other side as Tottenham supporters with an appreciate for Chelsea. This has been many years in the making, and I've let the 12-year-old drive this. I reserve right for this to change, even though I really wish we could just commit. I'm having trouble viewing your article yesterday regarding Ozuna. I used 2 different browsers and still doesn't work. Any others reporting similar problem and if so is there a fix? I'd love to read it. Will there be an emphasis on beating the shift in Spring this year? Are you asking if they will practice bunting in spring training? They will practice bunting in spring. 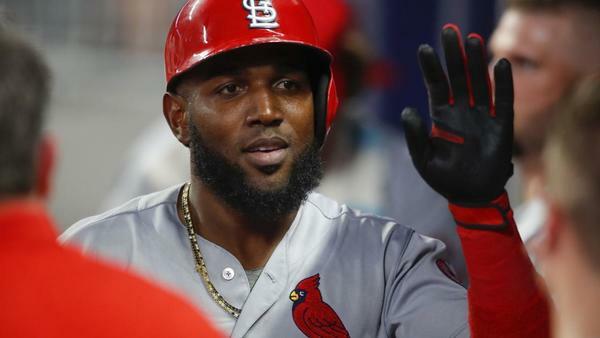 Do you think Cardinals desire to resign Ozuna is waning because of perceived lack of commitment and would resigning Goldschmidt take precedent over Ozuna now? I question whether it was ever that strong to begin with, and we've had this rolling conversation through the previous two years of chats about how Ozuna should be considered a two-year Cardinal and be surprised if it worked out long-term. Not because of this stuff you're mentioning, but because of the trend of Boras taking his clients to market and the timing of when Ozuna would be a free agent. The Cardinals have depth at his position and would have needs that free agents could fill elsewhere. We're seeing that play out. Do you know if there were any legitimate trade offers from other teams in regards to Fowler in the offseason? I never heard of one. I never heard the Cardinals pursuing one. They met with Fowler, checked his interest in that regard (he has a no-trade clause after all), and made the commitment they made. Did you watch the football games yesterday or were you busy with the warm up? 2 fabulous OT games. Super bowl prediction?. . I did not. I was covering things at the Warm-Up and had to plan for the dinner last night. I read all of the New Orleans coverage because Jeff Duncan, a columnist at the Times-Picayune, is awesome, and I hope to read the KC Star coverage later for the same reason -- my pals there do good work. My interest in those games only goes as far as the writing about those games. He does sometimes. But he's made to do damage, so sometimes he takes his whacks at a double. If Bader struggles to hit, but is playing excellent defense, will he continue to get the playing time in center? I assume the team isn’t relying on him for extraordinary offense. Depends entirely on what's going on around him. Bader is in the same spot that Kolten Wong found himself in a few years ago -- his playing time is not entirely his own to dictate. What I mean by that is it's the production and performance of others around him that could determine what the Cardinals need offensively from that position. Think back a few years when the entire team was struggling to hit and it was Wong that was sent down because Mark Ellis was playing more often, and because Matheny sided with the veteran Ellis when they needed offense. Bader is in that same spot. Fowler produces and Ozuna rakes and Martinez does well in his role and carrying a great-glove in center is more possible, but if the outfielders struggle and the Cardinals need something more, combined, from that group then you could see a different decision in center, through no fault of Bader.